Use Suprtool/AMXW to read, select, and sort data from Oracle, Allbase and Eloquence databases and data files with fixed-length records. Suprtool/AMXW is designed to be similar to Suprtool for MPE while providing necessary HP-UX features. It is designed to work with AMXW an MPE environment from Speedware that runs on other platforms. Suprlink/AMXW provides high-speed data-file linking based on a sort key. Use STExport for AMXW to convert fields in a self-describing input file into an output file that can be imported into different applications. · Suprtool, STExport and Suprlink now support 268 fields. · Set Fastread Off is now the default for Suprtool for AMXW when accessing Eloquence databases. · Suprlink for AMXW would fail on a Join command after a patch to libc was applied. · Set Oracle DataBug On | Off has been added to mimic the incorrect behaviour of writing double the number of bytes in versions 5.1 thru 5.4 and if no extract commands were in place and either set ifouroutput or set oracle integer were on and the input source was an Oracle table. · The $edit function did not work properly with alpha based edit masks and if the target was greater than 32 characters. · Suprtool did not properly clear the data field information from a table at the end of a task. · Suprtool did not properly zero out a packed field target when an table entry was not found when extracting data from a table. · Suprtool for AMXW would fail with FSERR 40 when attempting to append to a "KSAM" file. · Suprtool for HP-UX on Itanium had problems with reading files with record sizes greater than 13700 bytes. · Suprtool for AMXW would not run an external program from inside Suprtool due to a naming conflict with some routines in the AMXW libraries, this is the Itanium version only. · Suprtool for AMXW now supports output ,append access to vision file system KSAM. · The Add command which adds an input file to an Oracle table now allows for the syntax of ownername.tablename. · A Select operation on an empty table or if the select would result in zero records it would fail if Set Ifouroutput was on. This was for the Itanium version only. · Set Oracle SpaceNull has been added to convert byte, char and date fields when Null to spaces or leave them as null. If SpaceNull is on, then spaces will be placed in the fields. If SpaceNull is off then the field will contain nulls. · Set Oracle Passshift Off now turns off password upshift for the oneline syntax method when you are including the service name. · The Dup None Keys Count command didn't write out an extended name if Set SDExtname On. This was an issue in the Itanium version only and was fixed in Build 2. · STExport did not properly handle the Delimiter Tab option. Fixed in STExport (Build 2). Having said that we have tested this against our test suites, and improved and added a large number of tests to our HP-UX test suites. We also began Alpha testing 24 months ago and have been beta testing for the last year with our two best VAR customers. Suprtool for AMXW would use the file size stored in the SD label as opposed to the actual physical file size that AMXW uses. SUPRTOOL/AMXW/Copyright Robelle Solutions Technology Inc.1981-2007. (Version 5.0) TUE, JAN 08, 2008, 2:42 PM Type H for help. So what happens is if an output link file is created with a file equation making the file bigger, any subsequent files that are created from the resulting output file are actually made smaller as you can see below. Suprtool for AMXW now honours the physical record size and the FILE80A file will now have a record size of 80. The HP-UX and AMXW versions of AMXW no longer have Set varsubcompat on as the default. The default is now off and can be turned on with the set command or the –cv option. Previously, Suprtool would treat an “R” type field in an Eloquence database as an R type while the data inside Eloquence is stored and treated as IEEE therefore incorrect results would occur with coercions and arithmetic operations. Suprtool now by default maps all Real and Long fields to their respective IEEE fields. You can change Suprtool back to the previous behaviour with Set RealMap Off. A form command will still show the fields as being “R2” or “R4”, but internally Suprtool will treat as IEEE, which is how Eloquence stores and treats the numbers. Consequently STExport will now support items in SD files that are condidered R type, however it correctly will map them to IEEE. Suprtool/UX 5.0 is now compatible with all versions of HP-UX 11.2x, as well as Oracle version 8 and higher. Suprtool/UX version 4.8.02 and lower is compatible with HP-UX 9.0 and higher and Oracle 7. Fastread option is now set to On for Suprtool for HP-UX the regular version. The Dynamic loading version of Suprtool has a default value of off to start. Suprtool 5.2 is necessary for use with Oracle 11 and case sensitive passwords. This program runs only on CPUs whose serial numbers have been encoded (the "uname" on HP-UX). If it fails to run and you get an "invalid HPSUSAN" error message, contact Robelle for assistance, via support@robelle.com or the support number at 1-800-453-8970. Suprtool, STExport and Suprlink now support up to 268 items and fields. The algorithm for Eloquence routine loading has changed slightly on Itanium. Suprtool will attempt to load hpux32/libimage3k.sl and hpux32/libeqdb.sl on the second attempt to load the libraries. The algorithm is that Suprtool will first try to load the files individually, then hpux32/libimage3k.sl and then an attempt at the fully qualified filename. Suprtool is constantly being updated with new features. The Add command which allows for adding data to an Oracle table now allows for the syntax of Ownername.Tablename. The single syntax of just giving the table name will work as it always has. Suprtool has a new setting called Set Oracle SpaceNull, which when on puts spaces in any byte, Char or Date (Oracle Date) fields instead of the nulls. The default behaviour is off. STExport now has Set ZonedFix On, this setting can be used to zero out any zoned fields that were unable to be converted from zoned to byte and typically have a "?" in the result. This is often caused by hidden characters or bad data. Suprtool now has the command Set Oracle PassShift Off which turns off the default behaviour of upshifting Oracle passwords. This is to accomodate Oracle 11 which allows case sensitive passwords. Suprtool, STExport and Suprlink are now available as Native Itanium. This represents a complete conversion of all Suprtool code to the C language. This version has many of the same components, with the exception of Dbedit. This conversion allows us to port to other platforms such as AIX and any other platforms. 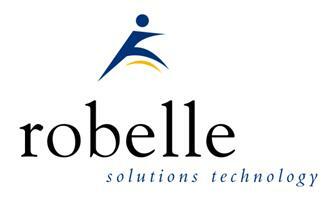 If you are interested in a particular platform please contact neil@robelle.com. Output,data. Suprtool would write out double the calculated record size when set oracle integer was on or set ifouroutput was on, and output,data option was used and no extract commands were specified. Packed Data. Suprtool for HP-UX on Itanium would incorrectly coerce the number negative 65536 from Binary to Decimal and Decimal to Binary. Table Command. Suprtool did not properly clear the data field information from a table at the end of a task. Extract from Table. Suprtool did not properly zero out a packed field target when an table entry was not found when extracting data from a table and the Packed field was P12 or higher. STexport Abort. STExport would potentially abort after the verify command had been specified after an input or output command. Fixed in Build 3. (Itanium only). STexport Delimiter. STExport did not properly write a tab between fields when using Delimiter Tab. Fixed in Build 2. (Itanium only). Extract. Suprtool did not properly coerce a double integer into a single integer. Table Sorted. Suprtool would fail with a Stack Overflow or simply fail when using the Table command with the sorted option if the key value was a double integer, single integer or a single logical.